The task generally starts with demo recordings and a discussion of how best to arrange and record songs. Martine then schedules the band and any extra musicians and captures the basic recordings. He uses a wall of black boxes, and the software that powers them, to choose among hundreds of effects to make the complex sonic tapestry sizzle. The process varies greatly from project to project. For the Decemberists’ The King Is Dead, the band wanted a barnstorming live sound, so Martine took them to an actual barn and recorded most of the songs in one take. 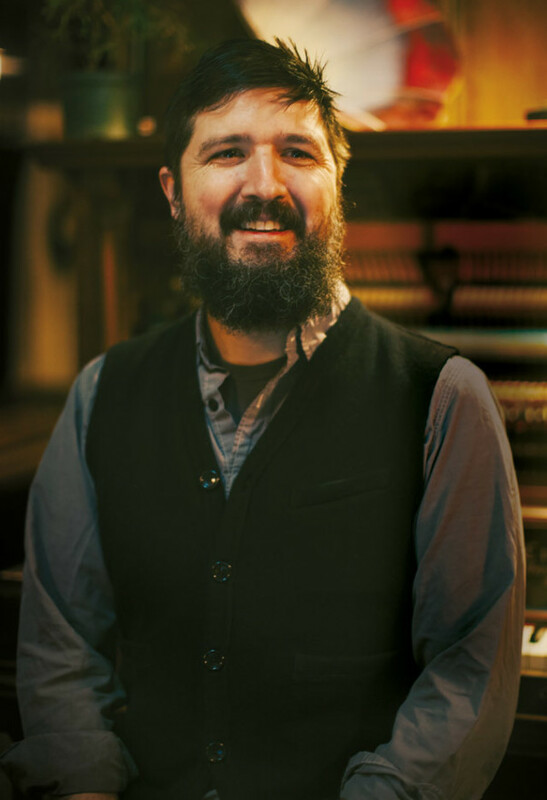 In contrast, he spent much of 2014 in the studio with My Morning Jacket, experimenting with an arsenal of reverbs, echoes, and other effects for two meticulously orchestrated albums: April’s The Waterfall and another scheduled for 2016.